The Tucson Julep from Bird Modern Provisions and Bar. If there's one thing that I learned on my recent food and beverage tour of France and Spain, it's this: Milieu matters. The sense of place, the regions, the environments and the communities all collectively define the foods they eat and beverages they drink. In France, for example, the labels on wine bottles don't typically call out the grape varietals as is common here in the states, such as Cabernet Sauvignon or Chardonnay. Rather, they spotlight the geographic regions and appellations themselves, as well as the vineyards of origin. Where the wine comes from is inherently more important to the French than what specific grape is in the bottle. That spoke volumes to me and gave me a renewed appreciation for how environment can inspire an epicurean experience. I wondered upon my return from holiday if the same held true in the cocktail community, and was pleased to see that Tucson is trending, literally. 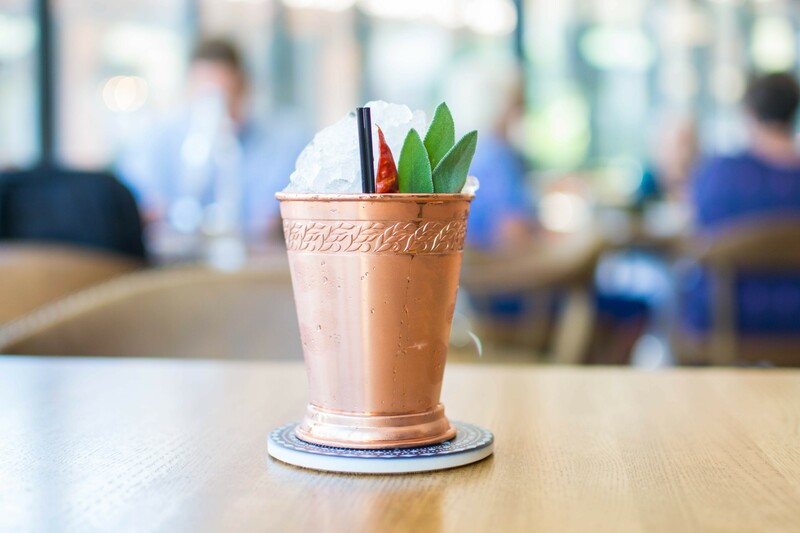 The Tucson Julep is an award-winning libation that bridges southern and western traditions, but one quaff is proof that Tucson's at center stage. "This cocktail is structured around the flavors of Tucson and the Sonoran Desert," said Tucson Julep creator Stephen Ott, bar manager at Bird Modern Provisions and Bar, 7109 N. Oracle Road. Ott's blend of classic and mesquite-smoked single malts from Whiskey Del Bac is the base for this cocktail, to which he adds a serrano pepper tincture and white sage-infused honey, crowning it with crushed ice. "I finish this with a creosote tincture on top to give it those aromatics of the monsoon," he said. "It's refreshing, a little spicy, and sage-forward." Ott says that American whiskey, as a category, is one of the most regionally representative spirits on the spectrum, and this cocktail is truly symbolic of the Sonoran region. 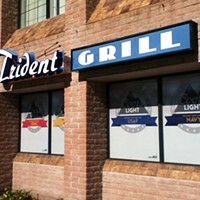 Meanwhile, over at Culinary Dropout at Grant Road Lumber Yard, a new restaurant that's been called a refuge for rulebreakers, the Prince of Tucson G&T is challenging cocktail convention while staying true to the heart of Tucson at 2543 E. Grant Road. "What I love most about Tucson is that it's quiet, it's serene, and it's peaceful, and the Prince of Tucson G&T, our twist on the gin and tonic, is a nod to that beauty," said Mat Snapp, beverage director at Fox Restaurant Concepts. So, what's involved in pouring Tucson's peace and serenity over ice? Snapp uses a barrel-rested gin from Independent Distillery, which quietly hangs out on wood over time for mellowing purposes. He also uses an uber-premium tonic water made with essential oils and flowers from the Mediterranean shores. Snapp says this makes the cocktail a little less "twangy" with "softer, almost prettier notes. Some muddled mint, orange peel, and bitters also do a nice job in activating the vanilla and rhubarb notes from the tonic." Sounds like one peaceful prince. Other Tucson-inspired cocktails that I've spotted around town include the Tucson Mule at Batch Café and Bar and the Tucson Lemonade at Downtown Kitchen and Cocktails, each with its own unique expressions of our local sense of place. Contact Matt Russell, whose day job is CEO of Russell Public Communications, at mrussell@russellpublic.com. Russell is also the host of "On the Menu Live" that airs 5 to 6 p.m. Saturdays on KQTH 104.1 FM, as well as the host of the Friday Weekend Watch segment on the "Buckmaster Show" on KVOI 1030 AM. Disclosure: Fox Restaurant Concepts is a client of Russell Public Communications. For those times when you can’t choose between oysters or a brew, why not both?